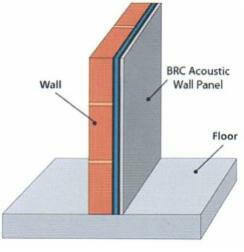 We make use of the BRC acoustic wall panel system to upgrade existing walls and dramatically reduce sound transmission: easy to install and available for fast delivery, a slim composition assures minimum compromise on your whole living space – despite the high performance benefits. Our acoustic walls can be applied to lightweight wall structures or existing plasterboard. 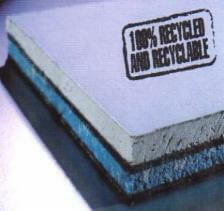 They are also ideal for existing walls that have failed pre-completion testing or as a solution to noisy neighbours. Adhering to Approved Document E of the Building Regulations Act 2000, our acoustic walls can provide adequate insulation from noises that come from neighbouring or connecting buildings – within a residential environment, common internal parts of a building or in school areas. With all your acoustic walls enquiries please call 01252 711972 or email us at enquiries@soundplanning.co.uk.